Blue chips stocks are stocks issued by well established and large market capitalisation firms, which have a sound financial performance for an extended period. It generally has a higher cost compared to other stocks such as small-cap or mid-cap stocks, as they have a good reputation and also a market leader in respective industries. Most of the time, blue chips stocks provide consistent dividends to its investors over the long run. It has share recognised features such as stable earnings, regular dividend payouts, robust financial database, more liquidity and less volatile. Why Should We Invest In Blue-Chips Stock? Blue chips stock offers stable earnings over a consistent period when it becomes reliable and earns the trust of investors. Therefore, in times of economic distress, investors will consider these stocks as a haven because of their secure nature with strong management teams and generate stable profits. Therefore, the stable earnings of blue-chip stock are suitable for their portfolio which provide decent returns and remains the primary goals for all investors. 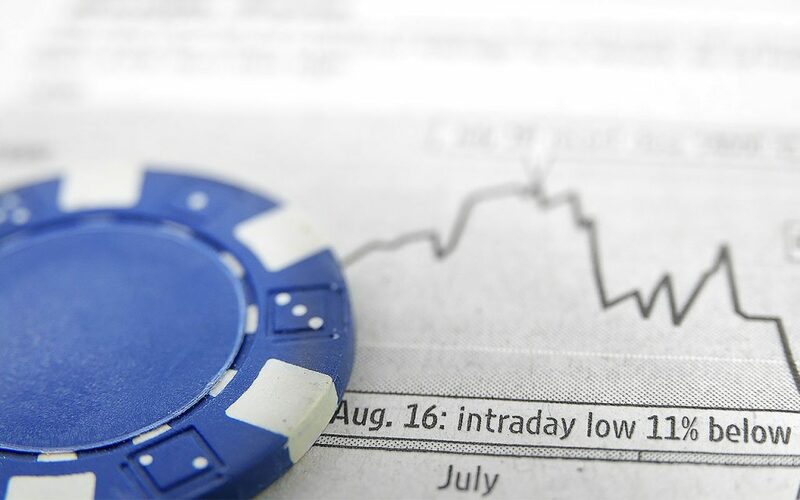 Blue chips stocks pay dividends to its shareholders on a timely and consistent basis. Blue chips stocks may not show a constant increase in share prices, but it covers up with uninterrupted dividend payouts over time. In the long run, investors not only can gain benefits from capital appreciation but also the dividend payments which can help to protect them against inflation. A typical blue chips stock has strong financials database because debts do not massively burden them. Investment in blue chips shares can be seen as a secure and steady investment, due to strong balance sheets and cash flows and sound business models which help to contribute to strong continuous growth. With this robust fundamental database, it leads to less volatility, minimal risks for investors which can help them to mitigate risks keeping the entire investment profile in view. Blue chips stocks have a competitive edge over the other players in their industry. By being a cost-efficient and holdings such as high franchise value, blue chips stocks have an excellent distribution control gaining a presence worldwide. They remain as market leaders, which provide top quality offerings and increasing goodwill. Some of the brands have become family names, their products sell regardless of the economic scenarios, and holdings their stock considered prestigious. They have seen a lot of ups and downs and have successfully survived turbulences in the market. The returns on blue chips stocks are commensurate with their risks. Blue chips stock provides a high degree of investment safety from their steady business operations as it is a low-risk investment. Because of this disadvantage, blue chips stocks are not suitable for aggressive investors who have a high level of risk tolerance in their investment approaches. Blue chips stocks are comprised of large-cap companies with maturing business and markets when compared to small and mid-cap companies that are still in their development stages and have a high potential for growth. Nevertheless, blue chips stock may not deliver earnings increase over time, but the growth is likely to be small and steady. Blue chips stocks may be an ideal investment for investors who are seeking value accumulation over the long-term, their slow growth represents a particular disadvantage to growth investors who expect it will grow above the average increase and significant share price moves in a short period. Blue chips stocks are more focusing on rewarding the shareholders more than investing in the business. Most of the smaller companies tend to reinvest their profits into their business by using share repurchases or taking on debts to encourage growth in the industry, which intends to lift their share prices. In contrast, a blue chips stock will tend to invest their profits into dividends to reward their shareholders. For investors who do not need the residual income that comes from these dividends, they may be better served to go with more aggressive stocks to build wealth. In conclusion, blue chips stock may not always seem like a good short-term investment, while for long-term investment, it creates high value to investors due to steady growth and returns. Investors can invest based on their own investment goals and objectives to determine whether blue chips companies are the right match for them. Not all investors are created equally or want the same results. While some of it may prefer less risk, while others with a higher risks tolerance or more substantial net worth may prefer higher risk investment that can potentially generate high yields in shorter periods.